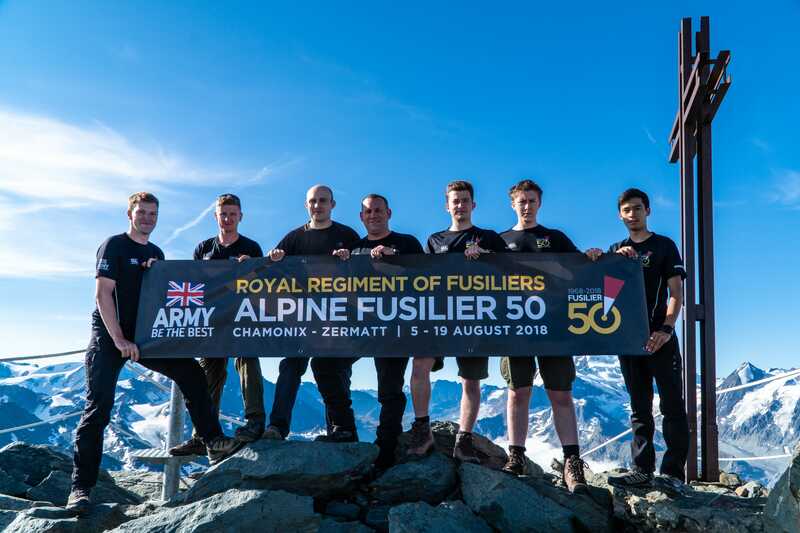 The 5th August saw 7 Fusiliers deploy on Exercise NORTHERN – ALPINE FUSILIER 50, a summer mountaineering expedition to the Swiss Alps for 15 days. 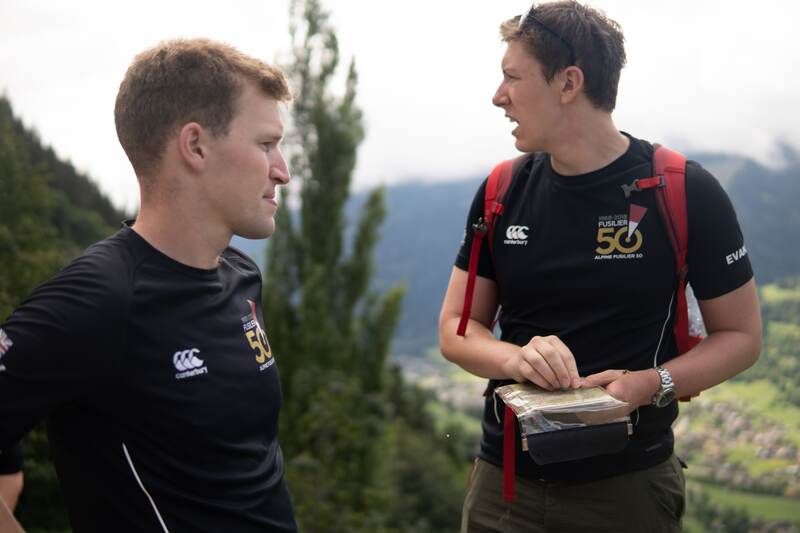 The expedition was conceived in celebration of the Regiment’s 50th birthday and included 5 reservists and 2 regulars in a year where our battalions were paired under 1 Brigade. The trail followed was that of the “Walker’s Haute Route”, a variant of the classic ski touring route from Chamonix to Zermatt. Unlike similar alpine trails such as the Tour du Mont Blanc, the Haute Route is more navigationally challenging, physically demanding and, most importantly, provides participants with endlessly varying and incredible views. The demanding nature of the Haute Route, which saw us walk 226km and gain 14,171m of elevation, meant that some were able to experience real altitude, and the effects it brings, for the first time. Many passes were in excess of 2,800m and on one night we stayed in Cabane de Moiry which at 2,825m is perched hundreds of metres above the Moiry glacier – an incredible sight. 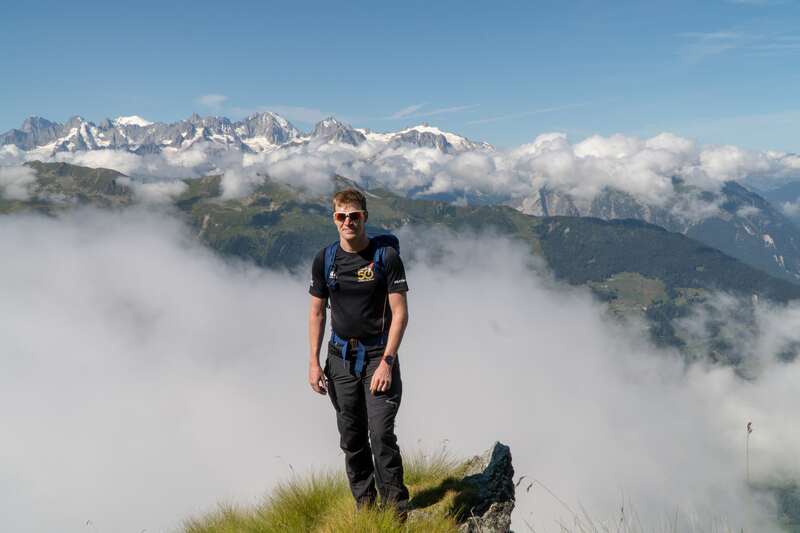 Highlights of the hike included summiting Mont Fort at 3,328m and Schwarzhorn (Mattertal) by foot at 3,201m. It was at cabins such as Cabane de Moiry that we met fellow hikers. At such altitudes, mobile phone signal was not available and the team indulged in typical swiss alpine evening activities; eating, drinking and playing a lot of cards. The Russian card game Dobrak became an expedition favourite having been taught to us by a couple following the same route at Cabane du Mont Fort. A high stakes game involving several McDonald’s milkshakes was even played in Zermatt to celebrate the completion of the route! The importance of keeping a number of adventurous training instructors trained and in-date was highlighted throughout; the participation of Capt Peatman allowed the exercise to remain internal to THE FUSILIERS and promoted bonding between the two battalions. Thus, it is not only important to remember why the exercise was conceived (to celebrate our 50th Birthday), but also remember the importance of its aim: to develop selected Fusiliers through participation in adventurous training, allow them to obtain a good understanding of a military AT exercise and introduce key skills in order for them to gain the Summer Mountain Foundation. The exercise was not only successful in achieving this aim, but I am confident that a number of the participants who were successful in gaining their Summer Mountain Foundation will continue down the Mountain Leader progression and help the regiment to maintain its cache of in-date adventurous training instructors. For the majority of participants, this was not only their first time mountaineering but also their first time to Switzerland. Aside fully exploring the Swiss Pennine Alps, we also had the opportunity to briefly visit Geneva, Martigny and the capital, Bern. 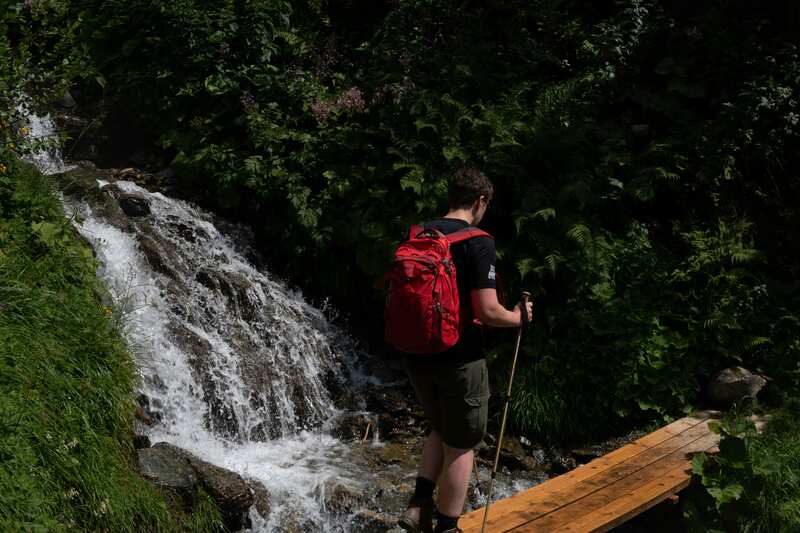 This was a welcome addition and provided Fusiliers with insight into Swiss culture outside alpine towns as well as the opportunity to relax for a few hours at a time. 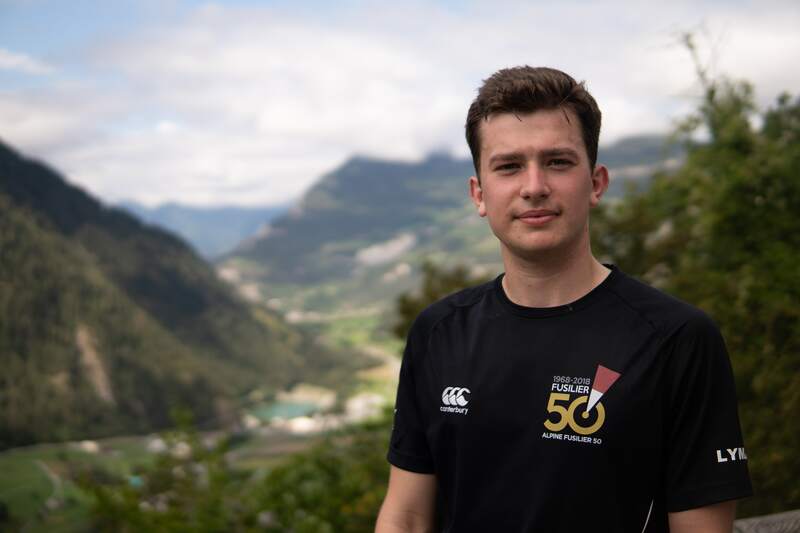 The Fusiliers who deployed on Exercise ALPINE FUSILIER 50 return with a renewed faith in adventurous training; they have experienced, many for the first time, the value an arduous and rewarding expedition can provide. They have developed key military qualities such as leadership and resilience; there is nothing more resilient than powering through your fourth high altitude pass of the day when you are already fatigued from the previous days. They have developed key military skills such as navigational techniques and time management. Perhaps most importantly, however, they have rapidly developed their communications in a foreign environment where good English is scarcely spoken; whether that was through buying groceries or eluding the advances of a drunk swiss grandmother. The expedition is extremely grateful for the financial support it received from a number of organisations, without whom the aims of the expedition could not have been met. Namely: the Ulysses Trust, who provide grants to arduous reservist expeditions; Fusiliers HQ, who provided an extremely generous contribution; RFCA NE, who continue to support the activities of FIFTH FUSILIERS; and Sandhurst Trust, who financially supported the Officers on the expedition. FIFTH FUSILIERS continue to lead the way in adventurous training and have expeditions in the near future planned to France, Gibraltar and Norway. It is hoped that ALPINE FUSILIER 50 will be seen as a benchmark for these expeditions.